Galloway Township Police responded to 719 calls for service during July 16, 2017 through July 22, 2017. Additional statistics include: 5 Burglaries, 1 Vehicle Burglaries, 19 Motor Vehicle Accidents, 107 Tickets issued, 8 Driving While Intoxicated, 35 Arrests, 13 Domestic Violence, 2 Fire Calls, 11 EMS Calls and 1 Juvenile calls. 200 Block of E. Magnolia Ave.
200 Block of Ivy Stone Ct.
700 Block of S. 4th Ave.
700 Block of S. 2nd Ave.
100 Block of Patriots Ct.
Taleya E. Smith, 18 of Egg Harbor Twp., NJ was arrested by Ofc. Christopher Pittman and charged with Possession of CDS on July 22. Michael M. McDonel, 30 of Northfield, NJ was arrested by Ofc. Mateusz Ryba and charged with Possession of CDS, Possession of Drug Paraphernalia & Possession/Distribution Hypodermic Needle on July 22. Kyle E. Cramer, 21 of Galloway was arrested by Ofc. William Kline and charged with Possession of CDS & Possession of Drug Paraphernalia on July 22. Kenneth B. Merlock Jr., 21 of Mays Landing, NJ was arrested by K9-Sgt. Scott Winneberger and charged with DWI on July 22. Ralph T. Strider III, 44 of Pleasantville, NJ was arrested by K9-Ofc. Brent Lopez and charged with Possession of CDS & Possession of Drug Paraphernalia on July 21. David J. Milano, 60 of Galloway was arrested by Ofc. Timothy Giberson and charged with Possession of CDS, Possession of Drug Paraphernalia & DWI on July 21. Joseph J. Stansberry, 31 of Galloway was arrested by K9-Sgt. 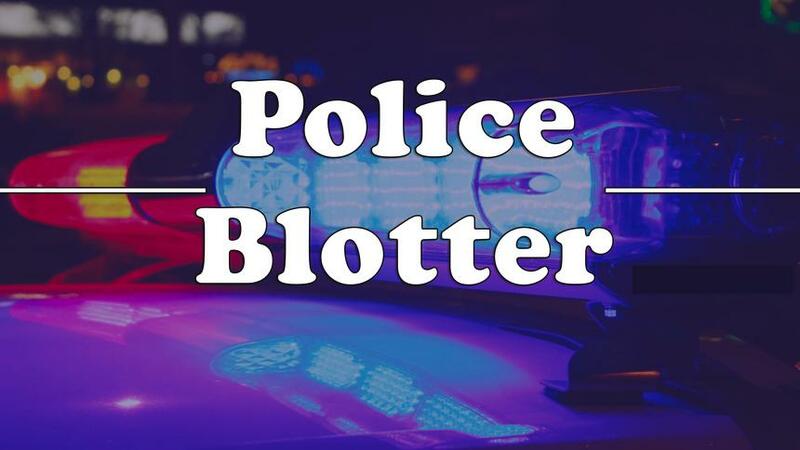 Scott Winneberger and charged with Burglary, Criminal Attempt, Aggravated Assault, Resisting Arrest & Use of Physical Force Against Law Enforcement on July 21. Joseph A. Uzzolino Jr., 46 of Toms River, NJ was arrested by Ofc. Kevin Costa and charged with DWI on July 21. Desiree A. Delpiano, 19 of Hammonton, NJ was arrested by Ofc. Cody Trout and charged with DWI, Aggravated Assault & Possession of CDS on July 20. Joaquin D. Martin, 20 of Galloway was arrested by Ofc. Cody Trout and charged with Possession of CDS & Resisting Arrest on July 20. Justine M. Chambers, 31 of Galloway was arrested by Ofc. Kyle Kuhar and charged with DWI & Endangering Welfare of Children on July 19. Desiree A. Delpiano, 19 of Hammonton, NJ was arrested by Ofc. Nicholas Stewart and charged with DWI on July 18. Candis S. Dozier, 26 of Galloway was arrested by Ofc. Ronald Gorneau Jr. and charged with DWI on July 18. Alan M. Hill, 29 of Forked River, NJ was arrested by Ofc. Timothy Giberson and charged with Hindering on July 18. Samuel J. Holland, 23 of Egg Harbor City, NJ was arrested by K9-Sgt. Scott Winnenberger and charged with Possession of CDS & Possession of Drug Paraphernalia on July 17. James J. McCausland, 55 of Cape May, NJ was arrested by Ofc. Gregory Gillespie and charged with Obtaining CDS by Fraud on July 17. Robert W. Connolly, 31 of Galloway was arrested by Ofc. Nicholas Stewart and charged with Possession of CDS on July 17. Jannette P. Lumley, 45 of Egg Harbor City, NJ was arrested by Ofc. Ronald Gorneau Jr. and charged with DWI on July 16. A 17 year old Male from Galloway was arrested by Ofc. Kevin Costa and charged with Hindering on July 22.